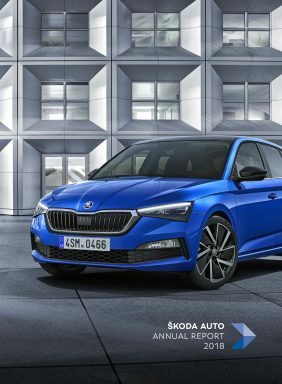 Mladá Boleslav, 31 March 2019 – Mixed emotions for ŠKODA Motorsport after the fourth round of the 2019 FIA World Rally Championship, Rally France/Tour de Corse (28/03/–31/03/2019). 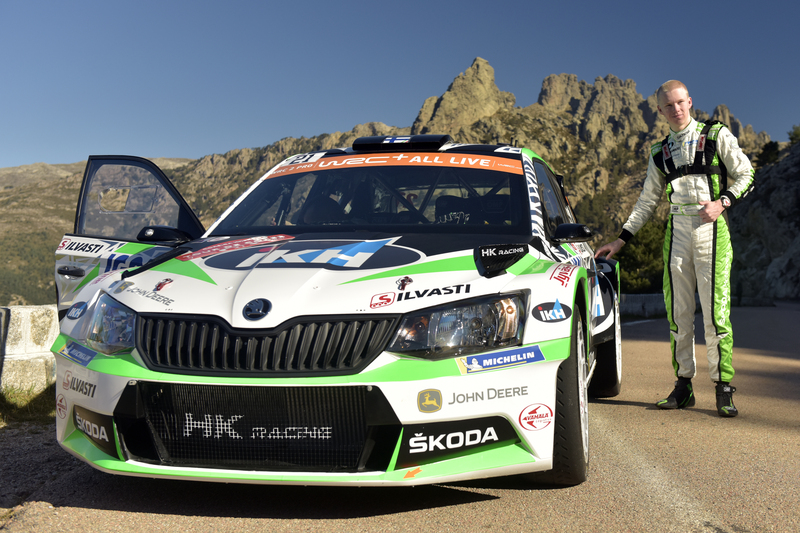 While ŠKODA works crew Kalle Rovanperä and co-driver Jonne Halttunen (FIN/FIN), driving a privately entered ŠKODA FABIA R5, had to retire from leading the WRC 2 Pro category after an accident, two private crews secured a double win for ŠKODA in the WRC 2 category. 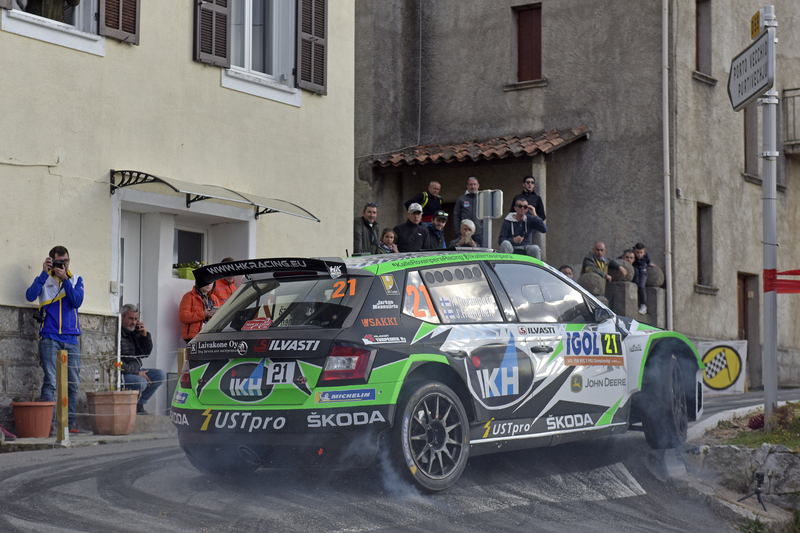 In the penultimate stage on Sunday, Nikolay Gryazin/Yaroslav Fedorov (RUS/RUS) took the WRC 2 lead from Fabio Andolfi/Simone Scattolin (ITA/ITA). But during the final test, the Italian crew fought back and secured the well deserved victory. During the opening leg on Friday morning, ŠKODA factory driver Kalle Rovanperä struggled with understeering in his privately entered ŠKODA FABIA R5. 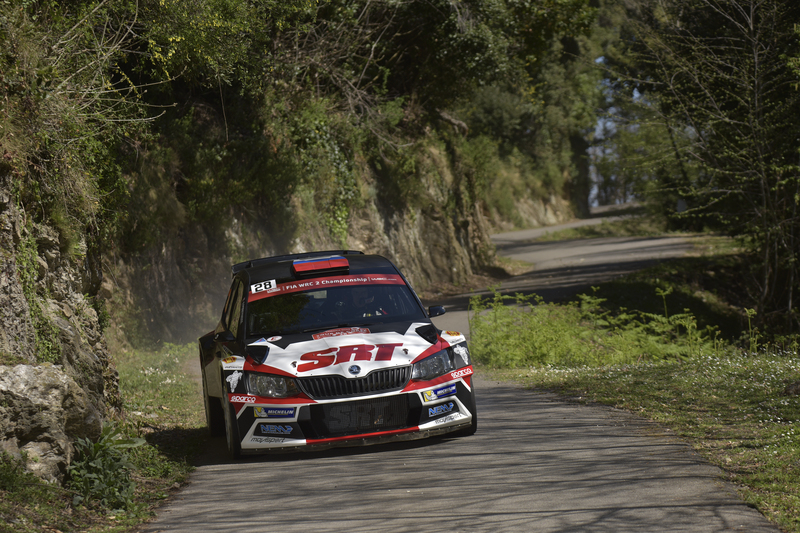 But the young Finn managed to complete the first three stages with a faultless drive. His main rival in the WRC 2 Pro category, Lukasz Pieniazek, collected a puncture during the first stage of the day. So despite his problems, Rovanperä was already clearly leading the category. After the first three stages of the day, no service was allowed. 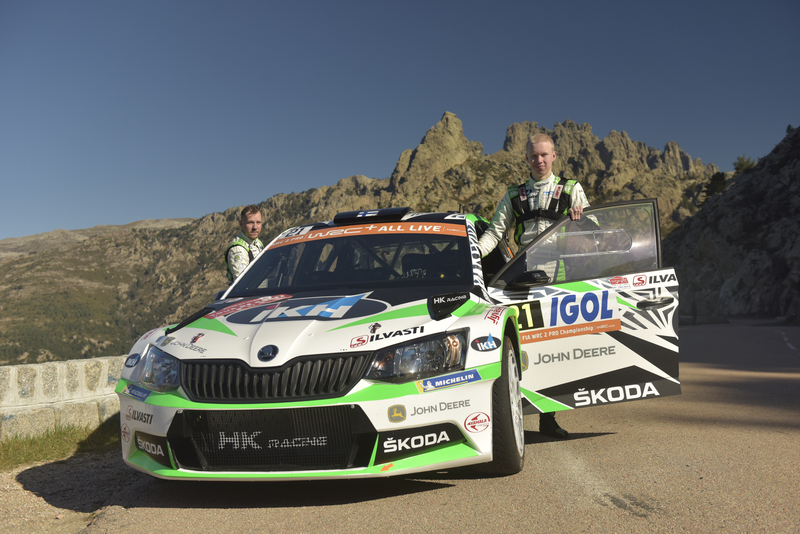 Nevertheless, Kalle Rovanperä and his co-driver Jonne Halttunen proved their talent as skilful car mechanics and modified the setup of their ŠKODA FABIA R5. 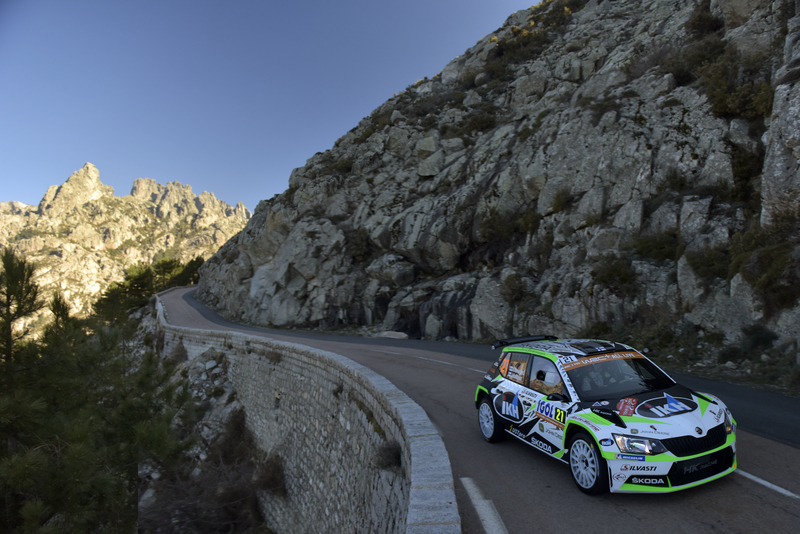 For the repetition of the morning stages, their performance was improving and they defended the lead in the WRC 2 Pro category, at the same time moving up to ninth position among all R5 crews. On Saturday, the Finnish pairing made even more progress. 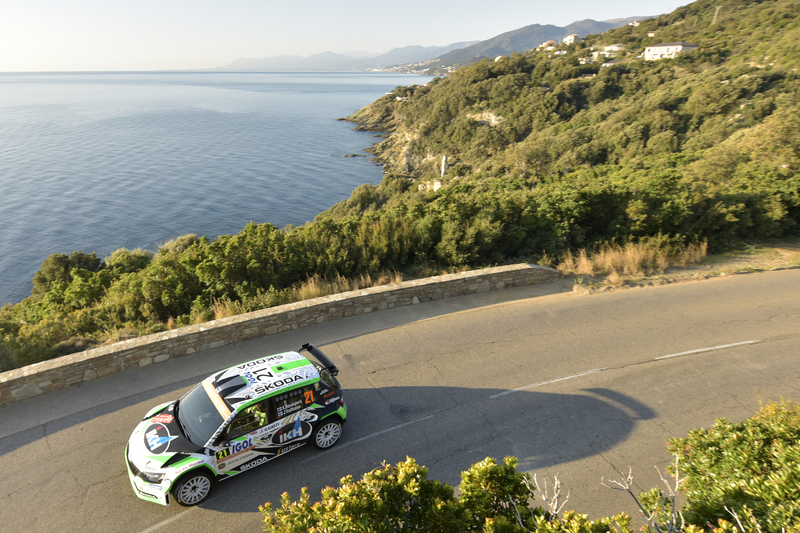 But during the longest test of the rally, the more than 47 Kilometres long “Castagniccia” stage, they ran out of luck. “In the middle part of the stage, there was some dirt on the road. We made a small mistake, went a little wide and hit a rock. The car was not looking too bad, but at the service we discovered, that the roll cage was damaged and could not be repaired. For safety reasons, we could not re-start the final day of the rally,” Rovanperä explained. 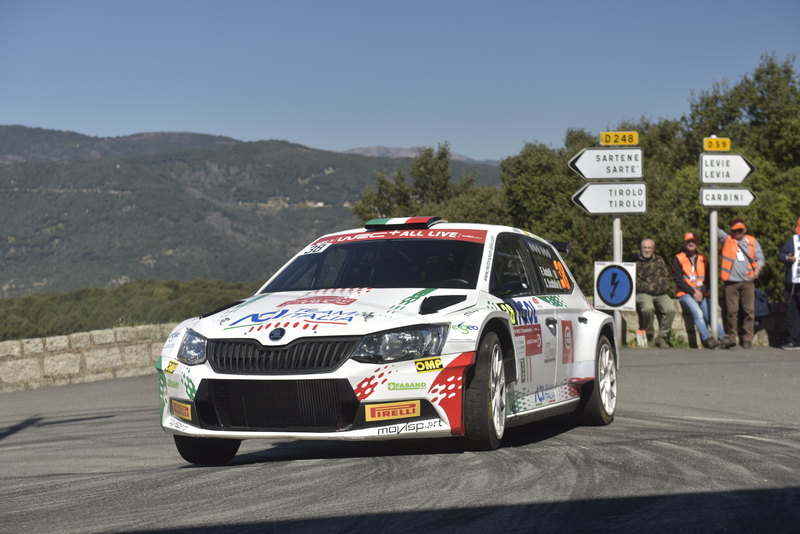 Italian privateer Fabio Andolfi together with co-driver Simone Scattolin showed impressive speed as well. 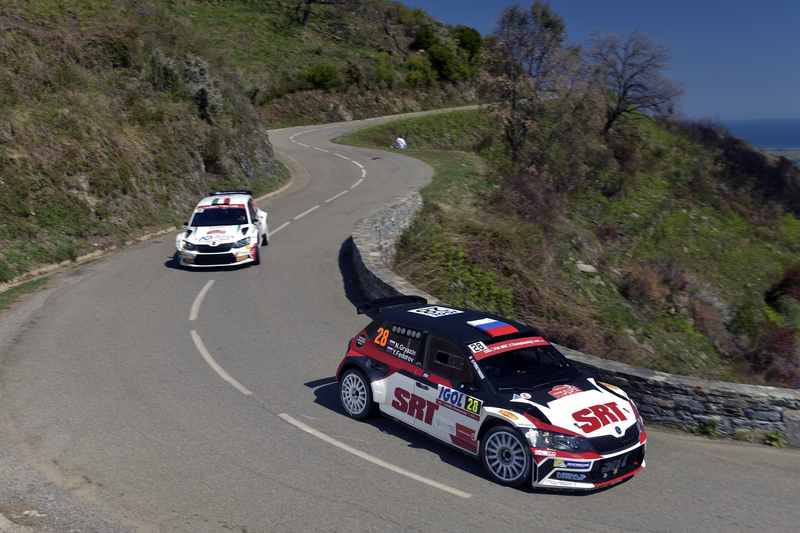 Having finished last year in third WRC 2 position at Rally France, this time they were among the frontrunners right from the start. But towards the end of the rally, they came more and more under pressure from European U28 Champions Nikolay Gryazin/Yaroslav Fedorov. 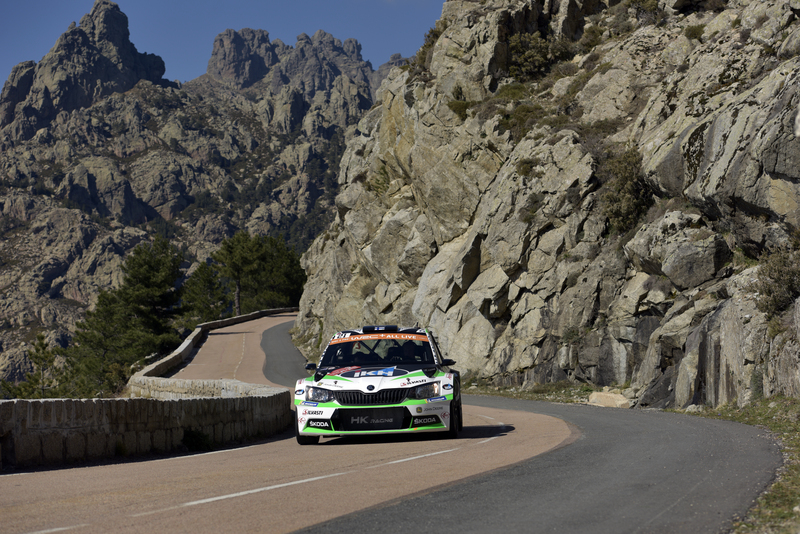 Driving another privately entered ŠKODA FABIA R5, the two Russians, despite lack of experience with the Corsican roads, set a fabulous fastest time during the penultimate special stage and moved into the interim lead. 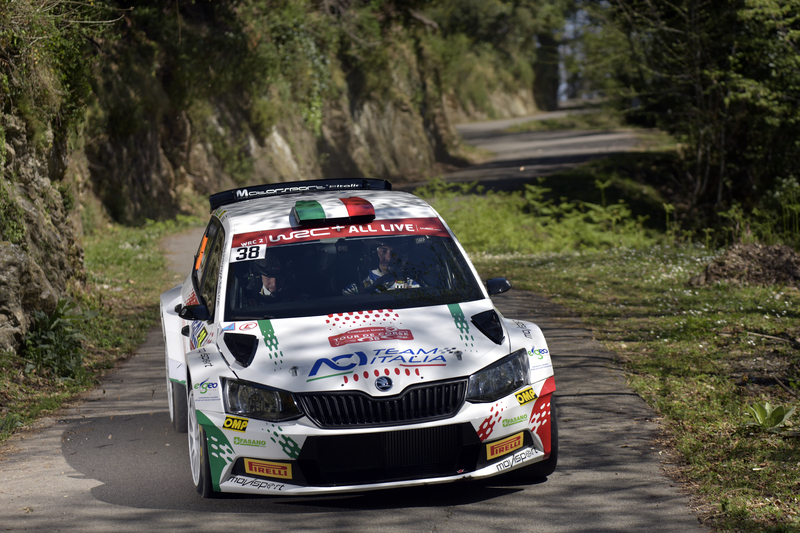 But during the very last stage, Fabio Andolfi/Simone Scattolin fought back and finally achieved their first WRC 2 category win. 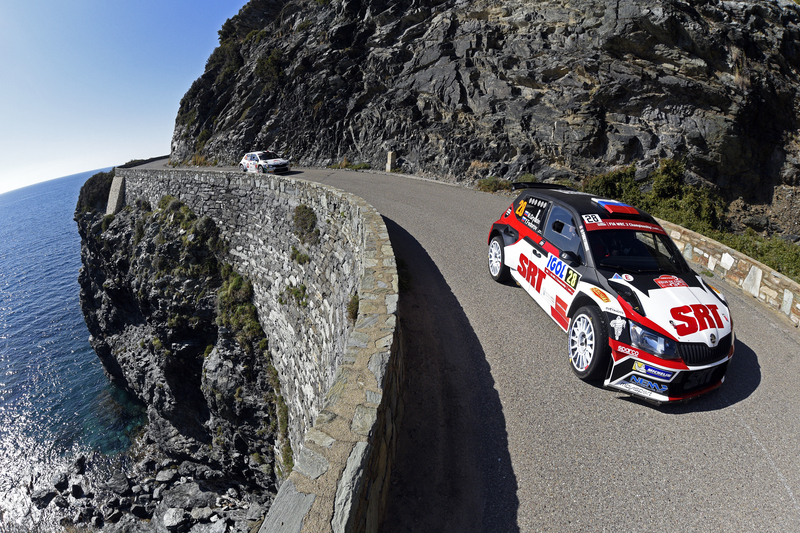 “Kalle and Jonne did not manage to adapt their speed properly regarding the fact that they were the very first time in Corsica, which is one of the most difficult tarmac rallies in the world. Congratulations to Fabio Andolfi and Nikolay Gryazin for their great performance. 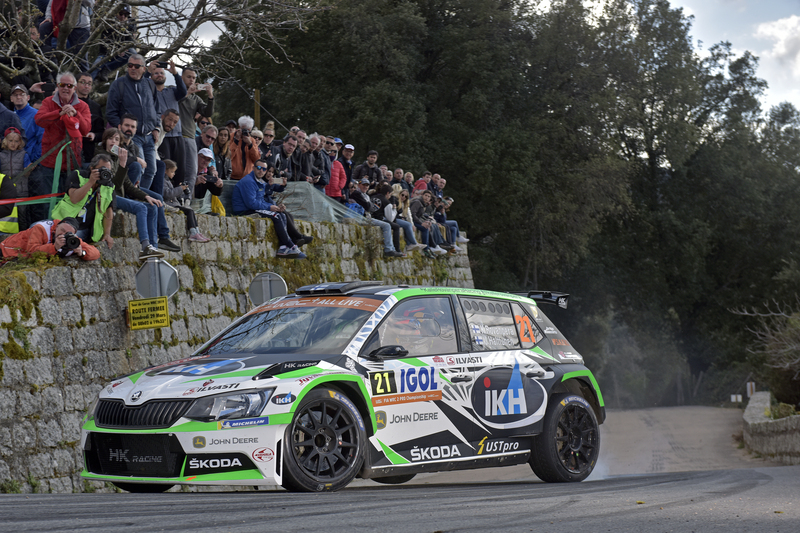 Both again demonstrated the competiveness of our ŠKODA FABIA R5 and secured a double win in the WRC 2 category for ŠKODA,” emphasized ŠKODA Motorsport boss Michal Hrabánek. 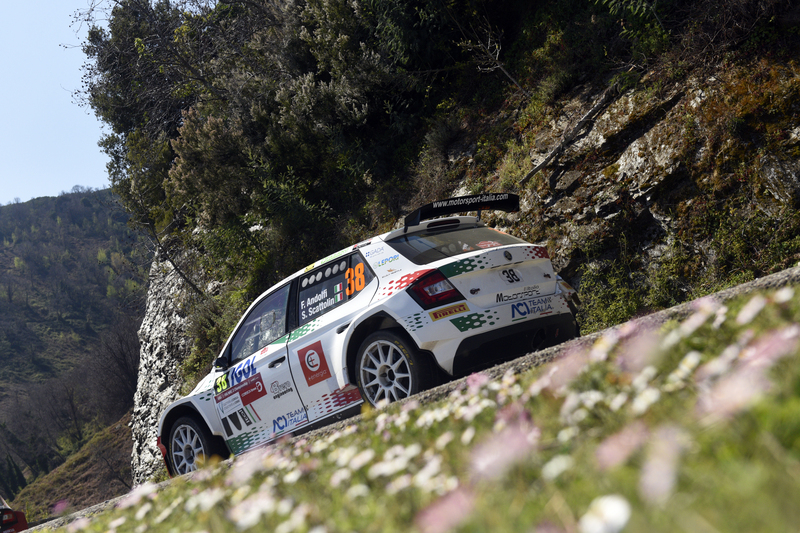 With five crews driving a ŠKODA FABIA R5 into the top ten of the WRC 2 category, the Czech brand was the most successful at Rally France/Tour de Corse.